The Frenchtown Rendezvous is an annual gathering of descendants of the French Canadian and native American communities of the inland northwest, and the principal fundraiser for the preservation and maintenance of the Frenchtown Historic Site outside of Walla Walla, WA. 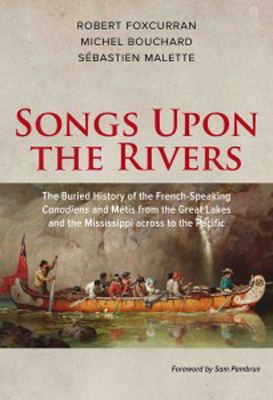 Our speakers this year will be Michel Bouchard and Rob Foxcurran, co-authors of “Songs Upon the Rivers”, forthcoming from Baraka Books on October 1st. Bouchard’s and Foxcurran’s work explores the emergence of a Métis (French Indigenous) national identity in 18th and 19th-century North America, examining both American and Canadian contexts. Copies of their book will be available for sale: contact Michel Bouchard to preorder yours! Assumption Parish Hall is handicap accessible. Rendezvous tickets are $35 per person and can be purchased online at tinyurl.com/frenchtownrv. Raffle Tickets are $5, or six for $25; winners do not have to be present. Long before the trappers and traders and explorers arrived, the tribes would gather each year at Wallula in what the French traders later called the “Indian Rendezvous”. It was a time for trade, and games, and dancing, and maybe some politics and maybe some marrying. The Frenchtown Rendezvous in Walla Walla also does a little trading, in the form of silent auctions and a raffle to raise money for the Frenchtown Historic Site. 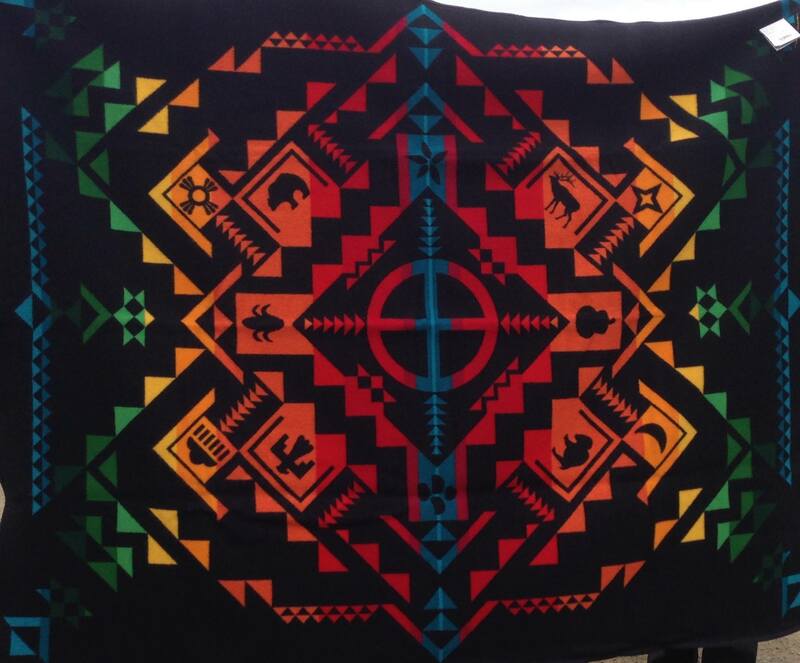 Our raffle item this year is the “Shared Spirits” Pendleton blanket, donated by the Confederated Tribes of the Umatilla Indian Reservation. Raffle tickets may be purchased at the Rendezvous or from any Frenchtown board member. All proceeds from the Rendezvous and Raffle will be used as operating funds for the Frenchtown Historic Site. The site recognizes the French Canadian and Native Indian cultural heritage of the Walla Walla area. It honors the grounds of the 1855 Battle of Walla Walla during which Chief Peopeomoxmox and many others were killed, as well as the Saint Rose of Lima Mission Church & Cemetery in the heart of the historic Frenchtown in the Walla Walla Valley.